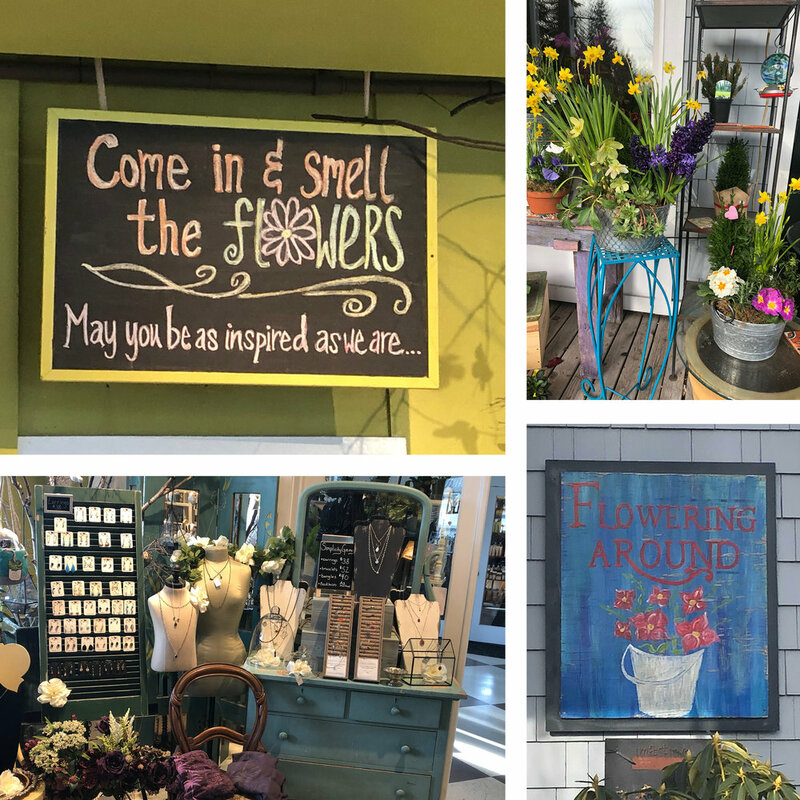 The month of romance is here and as we prepare to impress our sweethearts with treats and thoughtful gifts, we thought it would be a great time to invite you into our favorite Island florist: Flowering Around! This shop has been adorning our community with beauty since 1987 by collaborating with local artists to create truly unique floral offerings. Love is already in the air at Flowering Around, with a range of buds and other gifts to treat your special someone. Pick up a floral arrangement and browse a selection of greeting cards, stuffed animals, jewelry and other delights. While Valentine’s Day is undoubtedly a favorite time to purchase a bouquet, Flowering Around is a fun place to visit any time of the year. They offer a range of options to suit your needs, whether its designs for your home or office, green house plants, seasonal bouquets, wedding and event designs and beyond. If you’re looking for something that is sure to impress your Valentine or just want to immerse yourself in the beauty of botany, Flowering Around is the perfect place to go. Plan your visit here.